Given these Internet-driven times we live in, rife with "fake news" and disinformation, I shouldn't have been surprised to discover how much misunderstanding exists among music aficionados regarding common audiophile parlance. People whom I assumed knew what the term "mastering" meant appeared to be misinformed, interchanging "remix" and "remaster" as if they were the same thing. Additionally, I have encountered many people who confuse the disc mastering process for creating a vinyl record with the processes that go into mastering the actual recording. Those are two very separate activities. With all the buzz surrounding the recent Sgt. Pepper's Lonely Hearts Club Band 50th anniversary, I suspect that many of you by now understand how that album was "remixed" from the original multi-track tapes. I have written about this topic as it relates to the fine new Beatles releases in a three-part series on our sister site AudiophileReview.com; you can read the first installment here. What is your definition of mastering? Robert Vosgien: "I like to look at mastering in the broad sense as the last creative step in the recording process and the first step in the manufacturing process. It's the last chance to "button up" any sonic deficiencies in each track, making sure they are at the same level (loudness) and similar audio spectrum." Joe Travers: "For me it's the finishing touch, the icing on the cake for a record. Whenever you mix something, you want to mix it in such a way so that there is room for the mastering aspect. 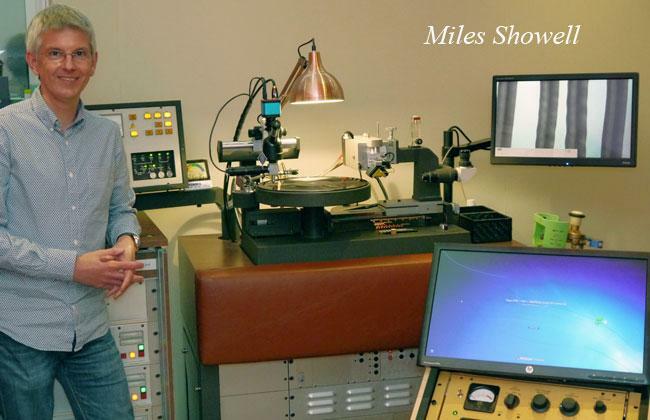 You want to leave room for the mastering engineers to give the icing on the cake." Ron McMaster: "A mastering engineer's job is to make sure the raw mix given to him is appropriate for mass consumption on all types of formats. Just like mixing, it is a subjective art and equipment varies, but a good mastering engineer's room and equipment are specifically designed for a flat and accurate frequency response. A sound benchmark, so to speak..."
Miles Showell: "I would define mastering as a way of presenting any given recording in the best possible light. To assist the artist in the communication of their musical ideas." What is involved with mastering a basic recording, be it from analog tape or a digital source? RM: "... The engineer knows how the mix will translate to people's home systems. He will correct problems the raw mix has and gently bring out pleasing aspects of the mix if appropriate. And finally bring the mix up to a level that's competitive with current music without damaging it." 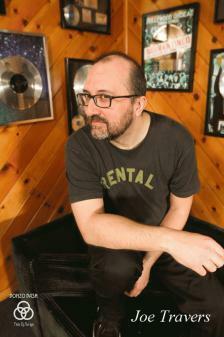 BG: "Mastering can be as simple as just transferring a recording and making a master disc or file for manufacturing. In fact, originally way back in the 1950s and into the 60s, there were mastering engineers, but with a much narrower expertise. The reason they were called the mastering engineer was because they made the master disc without changes to the sound. Nowadays, all mastering engineers do adjustments, as well." JT: "The 'chain' for your final mix signal could pass through a console, some limiting, perhaps some compression. It is an art to do that; you have to know what you are doing to get a good musical result. The guys who do it--the guys we work with--have the ears and musicality to know what works in regards to the recording and how the final result should sound." MS: "For me the essence of the mastering process is to attempt to imagine where and how the recording will be listened to and to optimize the audio for this. If I were mastering a programmed dance track, then the bass and drums would need to sound big and rich and something that will translate and work well in a club. Whereas an all-acoustic track from, say, a singer-songwriter will more than likely be listened to at home or perhaps on headphones on the move and will need a much more sympathetic approach." RV: "Mastering from analog tape is a much more involved process. Dealing with the condition of the tape can have its issues ... With digital sources, I create my own Pro Tools session for playback. This 'session' gets played back through my custom set of D/A [digital-to-analog] converters, which is routed through my mastering console where equalization, level, and compression/limiting can be added if needed. The analog sources are routed directly into the console, bypassing the D/A converter." What is involved with the mastering of a physical disc for making vinyl records? MS: "The vinyl format is a basically a recording that has been captured using a mechanical process. The sound waves you hear from the speakers are cut into the disc as a wavy groove using a disc-cutting lathe. The shape of the groove is a snapshot of what the music is doing at that particular time. There are certain sounds that do not cut very well, such as stereo bass and vocals that have a lot of energy (high-frequency information) ... If I am given a record to cut that has all of the above, then something has to give. It is my job to make any adjustments to the signal as transparent as is possible." JT: "All these different formats come with different rules and regulations to make them sound good. If you have people doing their job right, all formats can sound great. You can't get away with loudness wars on making vinyl. It is important to cut vinyl at a lower volume." BG: "I always consider it like the last step of the creative process and the first step of manufacturing. We're doing the mechanics to make the actual master discs ... What we're trying to do as [vinyl disc] mastering engineers is to get in touch with whatever kind of music we're working on and try to achieve a better emotional connection to the listener. So, when you manipulate those controls--the equalization and so forth--you have to use your own emotional responses. It's the only way you're going to know if it's communicating better. You can't be prejudiced, either. If you get a Polka record, you still have to be open to it. Does the mastering of the original recording impact the vinyl disc mastering process? Are the two intertwined? MS: "They are inter-related. My process is to make a recording sound as good as it possibly can, usually working alongside the artist and producer ... If there are any changes needed to cut the vinyl master, I will apply these live on the fly when the master lacquer discs are cut. RM: "In disc cutting, there are three movements. One is the subjective and creative process I outlined in the first question. Second is preparing the mastered music for transfer to the lacquer. Third is the actual cutting process. I've been doing it for over 30 years and still enjoy sending out a big, beautiful-sounding lacquer that will stand the test of time." JT: "Sometimes you'll run into a situation where engineers want complete control over the final product. When they are mixing, for example, to a 96/24 file, sometimes they will apply the final EQ/limiting/etc. at their end; so, when they send the final file to the mastering house, it is done. It is mastered. There are engineers that operate this way and are very controlling." Are there different mastering considerations for digital applications like MP3s, streams, and 5.1 surround sound? MS: "I tend not to apply extra processing to try to overcome the limitations of MP3 and streaming. I will listen via these codecs just to check that nothing is really falling apart, but there are so many permutations it is next to impossible to have a one-size-fits-all approach." JT: "It is more common for a mix to be final, and it's the mastering aspect that is different, based on format. Let's say you have analog tape, and you cut vinyl from the analog tape. If you are releasing a CD or a digital file, you have to digitize it into a file format. So you would transfer tape into the digital realm and then master it for the format. CD and digital files will be mastered the same way; however, mastered for iTunes is a different thing, which might have to do with gain structure ... Mastering for surround may not be the same as for a popular stereo disc. It would be more dynamic, not as loud. They don't master the same for surround as they do for stereo." BG: "There are different considerations. We have to think about the market the recording is destined for. If it's an audiophile release, our priorities are quality first. It isn't that way with pop music. There are commercial aspects that require you make the tracks more aggressive or noticeable to the listener, to attract attention because there's so much competition. All of this is detrimental to the sound quality. For example, people do a lot of playlist listening these days. If a tune comes on that is down three or four decibels compared to other tracks, they're going to think something's wrong. It would really sound better than if just they turned up their volume, but they don't do that. So we have to account for this, offering similar dynamics to the original, yet being competitive to everything else out there. That's why we build our own equipment, in order to maintain quality. When we do pop albums for vinyl, this is not a question. We don't use a lot of processing because we don't need to. It's not a competitive medium in that way. For an audiophile record, we usually let it have a lot more energy--our priorities are quality first. We try to get it to play back just with the master tape or the digital files (without any equalization or limiters). But if it's a little ragged and poorly balanced, then we have to use limiters and/or EQ." We hope you have enjoyed this initial primer exploring some of the basic differences between mixing and mastering a recording versus mastering a vinyl disc. There was a lot of information for us to cover in a fairly limited space, and there is much more commentary from these experts than we could fit in this story. So, in the months ahead, we'll present a follow-up to this article over at AudiophileReview.com, with more technical insights. But hopefully now, when you hear about a recording has been "remastered" (digitally or analog), you'll be thinking more mindfully about what that means to you, understanding some of the behind-the-scenes process. • Is the recording a brand new mix or a remaster of an older one? • If the latter, what source was used to make the remaster? • Who did the audio remastering? • Who oversaw the vinyl disc mastering? • Where was the vinyl disc pressed? Details like this are crucial puzzle pieces toward maximizing your home audio experience. • Visit AudiophileReview.com for reviews of the latest hi-res and vinyl releases.